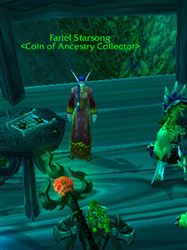 As of Lunar Festival 2015, Fariel Starsong now sells the Everlasting Horde and Everlasting Alliance fireworks. Previously, these toys were exclusive to those who looted them from the level 85 version of the Theramore scenario. IMPORTANT NOTE: You do not need to buy both Everlasting Horde and Everlasting Alliance. Learning one of them will teach the other one also.